"The graphics have been polished to perfection and are sharp enough to cut through diamond. 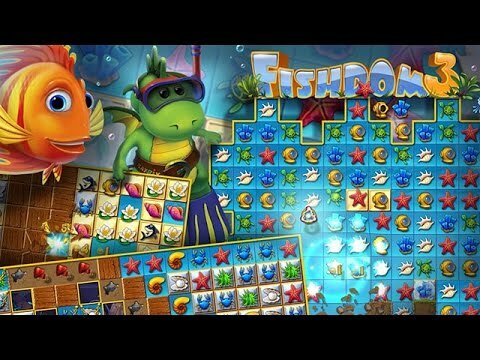 There are plenty of changes to make this game a worthy addition to any Fishdom fan's collection. For newcomers, this is the perfect game to start with!" Fishdom is back and it's better than ever. Now all your fish are in 3D and have their own personality. Feed them, play with them, and watch them interact with each other. Engage in challenging Match-3 gameplay with new unique twists, as you earn dozens of awards and achievements. Choose from over 150 underwater decor items and accessories in eight unique themes. Your finned friends are waiting for you in Fishdom 3.